102 - 2770 Burrard Street, located on the quiet side of the building tucked away from street noise. This completely renovated home offers laminate flooring, stainless appliances, modern bathroom, resurfaced wood burning fireplace and a spacious solarium. All renovations completed with strata approval and city permits. In-suite laundry possible with strata approval. Building Updates Include: fully rainscreened, windows, patios, railings, roof and entry lobby. Maintenance fees include heat, hot water, storage locker and one parking stall. Two pets allowed, no rentals permitted. Location wise you are steps from Broadway shopping, restaurants, parks, minutes to Kits beach and easy access to transit lines. Open House: April 27th & 28th, 2pm-4pm. Welcome to the "i", a quality built CONCRETE building with rainscreen technology by award winning Adera. This quiet & light-filled garden home has its own private entrance through the sunny south facing patio overlooking a park. Fantastic one bed plus den, open concept floor plan with no wasted space. Entertainers kitchen offers an abundance of cabinetry, S/S appl., granite counters and butcher block island. Large master bed w/lots of closet space and semi-ensuite bath with double sinks & soaker tub. Great den/flex space-perfect for home office. Includes secure parking & storage on the same level. No need for an elevator. Perfect Arbutus Walk location with restaurants, shopping, parks, Kits CC & transit just steps away. Quick stroll to W4th & Kits Beach. Open Sat/Sun April 27/28th 2-4. ADORABLE CHARACTER HOME nestled in the heart of the Drive! This move-in-ready plan complimented by original heritage details throughout offers so many options. Main level is spacious & bright, with a sunny eat-in retro kitchen & a large living room with oak floors, a gorgeous gas fireplace & original mantle millwork. 1 large bedrm & updated bath with clawfoot tub on main + a big den (easy bedroom) with access to the upstairs & the sprawling back sundeck. Top level with sep access & skylights, currently a cute nanny suite, is easily a master oasis with 3 pc bath & great storage. Basement has shared laundry/mud room, xtra storage + lovely 1 or 2 bedrm mortgage helper. Massive overheight concrete dbl garage too! Steps to transit, shopping, schools & some of the city’s best food. WOW! Welcome to Bella Vista, a quiet cul de sac nestled near Trout Lake & Commercial St Café! This character charmer was completely rebuilt on a new foundation in 2013, but kept the beauty of its original design. The traditional front porch leads into an open main level boasting high ceilings, big windows & dbl-sided gas fireplace. Contemporary kitchen features Wolf range, dbl fridge & access to the back porch. 1 bedrm + large den on the main (easily another bedrm). Upstairs is a special, airy master oasis with vaulted ceilings, ensuite, dbl closets, cozy sleeping porch & balcony with dramatic vistas. Basement is a fantastic canvas awaiting ideas with high ceilings, suite rough-ins, legal address & tons of storage. Lane access, green space & open parking in back. Great schools nearby. COME SEE! Welcome to Crossroads – an ideally laid out and quiet 2 bed, 2 bath, 813sf home in one of the best locations in the city. This home has everything on your checklist! High end large & open kitchen feat. ss appliances, stone countertops, gas cooking. Opposite, large bedrooms offer privacy, with large open living space perfect for entertainment. Open balcony (BBQ allowed) faces quiet side of building. Ammenities include a 3,000sf professional exercise centre, kids play area and direct access to Whole Foods & London Drugs. Steps to Canada Line, South Cambie shops, restaurants, and walking distance to Downtown. Pet, rental and family oriented building. 1 parking included, in-suite storage (see floor-plan). Perfect for professionals, young families and investors. This one is not to be missed! LIVE. WORK. PLAY. This spacious and open floorplan combine living and dining into a truly unique and desirable space allowing you to bring your creative vision to reality. Featuring floor to ceiling windows, over height and exposed 9’8” ceilings, PAX wardrobe system, and built-in murphy bed, this is one not to miss. The Main Space is a concrete and steel frame building made to last and located in the hub of Mt. 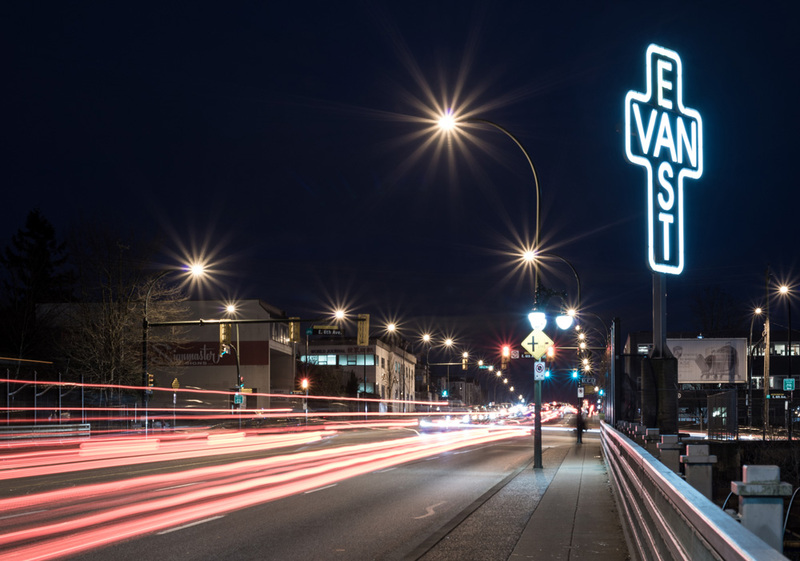 Pleasant and just steps to the future Great Northern Way Station, Emily Carr, VCC, Central Valley Greenway, Red Truck Brewery, and the vibrant Main Street Corridor. The building is well managed and maintained and includes access to a communal roof top patio and artist gallery. Pets and rentals welcome and comes with one parking. Don't miss out! Beautiful, side/side, renovated, 1/2 Duplex in Prime Cambie/Marpole location. This lovely family home boasts over 1873 sq.ft. of living space w/ 3 bdrms, 2.5 baths + flex space. Split level floor plan w/sunken living room featuring wood f/p & 10.5' ceilings. Other features inc h/w flrs on the main & a formal dining room that can accommodate a table for 8. The real showpiece of this home is the updated kitchen featuring solid wood cabinetry, granite counters, s/s appliances, center island & plenty of built-ins. The huge mbdrm features a WICLO w/custom built-ins, & a spa-like ensuite. Updates include roof, exterior trim paint, gutters, furnace, water tank, kitchen, and so much more. 8 min walk to Marine Gateway Canada Line. Schools: K-7 Sir Wilfred Laurier, 8-12 = Winston Churchill (IB). Well maintained 3 bedroom, 2 bath Dunbar starter home. Originally built in 1954 and owned by the same family since 1959. Spacious principal rooms and good celling height in the basement. Features include: two fireplaces, hardwood floors, cove ceilings and wood windows. Lovely flat 33 x 130 foot property with West of Dunbar location. Ideal location close proximity to Dunbar shopping, parks, best public and private schools as well as transportation. Easy to show. Call today.